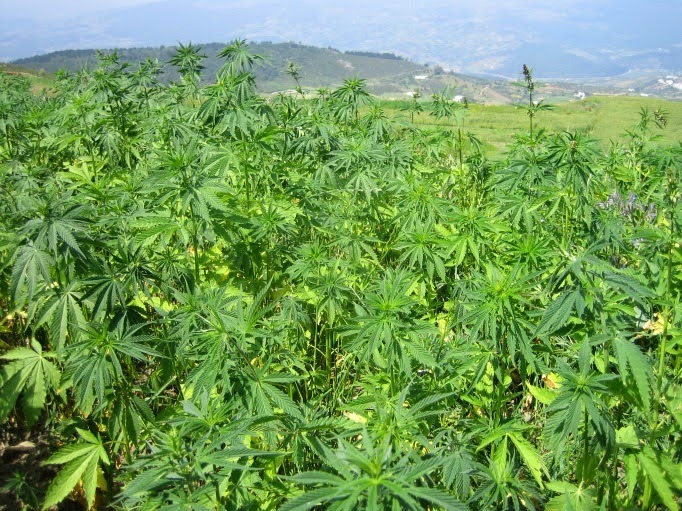 While hiking in the Rif mountains of Chefchaouen (the blue town in northern Morocco), I came across huge marijuana fields. Big, lush, and beautiful. The country is one of the earliest growers of cannabis and continues to be a robust producer of the plant. The product is commonly sold in resin form. Though illegal in Morocco, marijuana is unlikely to go away anytime soon. A lot of poor farmers depend on the crop for their livelihoods. One estimate of the output is $10 billion, or about 10% of the nation's economy. Recently, there's been talk of legalizing the cultivation in some form. Then Ali G asks earnestly, "Is there any negative effects?" 10% of the entire economy? That's incredible. Imagine how much higher that would be if it were legal, too... damn. If you are an art lover and colors fascinate you the most, do visit the blue city of Morocco known as Chefchaouen. So, whenever you Travel to Morocco, do make plan of visiting the city covered in blue color.